Bluenine what’s happening in your club? How accurate is the 643m debt reported by il sole 24? They are expecting a gate record for the derby. It’s expected to exceed 4.6m that was recorded last October. raised the price a lot like merda vampires. anyone got last year pricing? A large part of that debt is a loan by the owners, i.e. they have put their "investment" as a non-interest bearing loan. There is nothing worrying about it, Moratti used to do the same. The other part of the debt is the bond issue which Inter used a few months ago to restructure their debt. Inter raised 300m from this, which shows public confidence in Inter as a company and also comes with a low interest rate - just 4.9%. Here is an FT article on this if you like to read more. 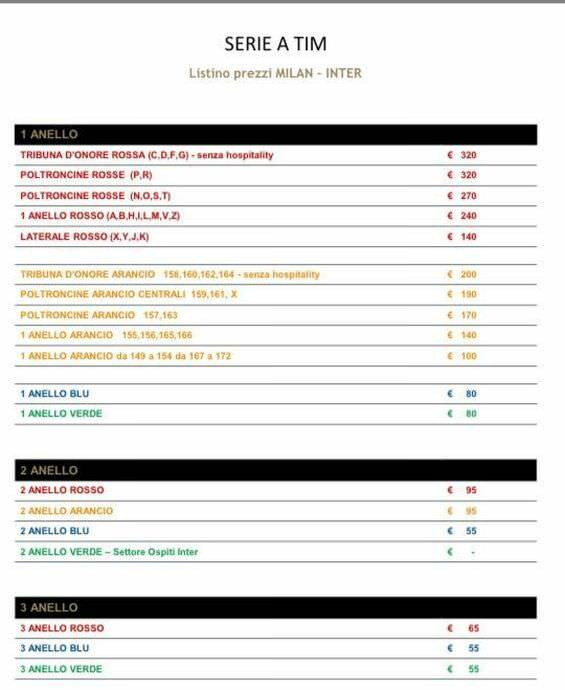 As a comparison, Milan's loan with Elliot costs 11% per annum. Which means that Milan pay a bigger interest amount for 180m debt with Elliot than all Inter companies pay for their entire 600m+ debt. Last edited by bluenine; 02-03-2018 at 11:51. Looks to me that both teams debt issues aren't a big deal and only played up by newspapers to sell print.